The Chicago Historic Resources Survey is a valuable tool in the preservation of the city&apos;s buildings. Published in hardback by the Daley administration in 1995 and available online, the survey lists thousands of pre-1940 buildings and uses a four-color system to rank them according to architectural significance. The survey also lists dates of construction, architects and even architectural styles. Since 2003, the survey has been not just a tool, but a frontline weapon in the city&apos;s effort to preserve old buildings. An ordinance slaps a 90-day hold on a demo permit sought for any building rated red or orange (the two highest ratings on the survey), allowing the city time to possibly work to preserve or landmark a doomed building. That means a listing in the CHRS can determine if a building falls to the bulldozers or not. But here&apos;s the issue: The survey is hardly complete. Fieldwork was largely done by volunteers and interns and the document has glaring omissions, particularly on the South and West Sides where scores of pre-1940 buildings are standing, yet absent from the survey. The hit-or-sometimes-miss nature of the survey means a highly-rated building on the list could be pulled from the clutches of the bulldozer, as we saw last year , but a good building left off the list by chance or oversight would have an altogether different fate. The survey has not been amended or corrected since it was released 18 years ago. 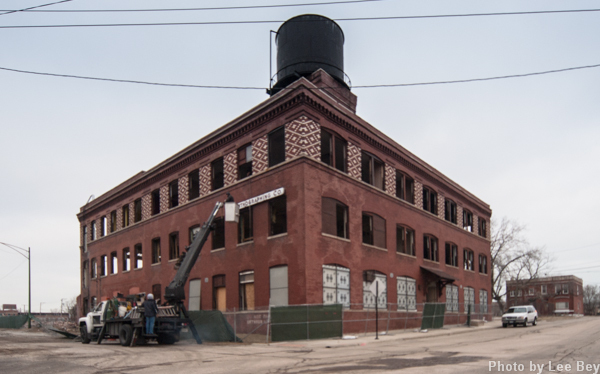 "It was [at times] a windshield survey," said Jonathan Fine, executive director of Preservation Chicago, a group that pushed to get the demolition delay ordinance. "Four guys in a Chevrolet Chevette trying to determine what the city has. We have a lot of buildings flying under the radar screen." Given the survey&apos;s flaws and the fact nearly 20 years have passed since the document was completed (some of the research in the survey goes back to the early 1980s) now is the time to begin work on a new survey. The city must begin the work of correcting and updating the CHRS, or commission a new one. Currently overlooked buildings must be included. There should be a new category for pre-1940 structures that have been demolished since the old survey was completed. The new or revised survey must--for certain--include buildings built after 1940. These structures may have been too new to consider in 1985, but no longer. The youngest of these buildings are now as old as Art Deco skyscrapers were in the mid-1980s. It&apos;s time. City spokesman Peter Strazzabosco said the existing survey took 12 years to create. He wouldn&apos;t comment further on whether the city would commission a new one. A new and expanded survey would be a time-consuming and challenging undertaking. But a document that plays such an important role should be made to be complete and comprehensive. Landmarks Illinois President Bonnie McDonald said her organization supports the creation of a new survey and suggests some type of public-private partnership to get it done. "This round of the survey would benefit from technological advances [not] available [when the survey was first created] to better involve the public and marshal volunteer resources," McDonald said. "Social media and volunteer surveyors using interactive forms on tablets can buy down the cost of this needed process." A complete survey might have helped save the Goes Lithographing Co., (seen above), a handsome and historic industrial building at 61st and Perry that is now being demolished for a railroad company truck depot. The 109-year-old building didn&apos;t make the survey despite being built well before 1940. Had it made the list, the building&apos;s beautifully-kept exterior and distinctive brickwork would almost certainly garnered an orange rating, triggering the 90-day demo delay and providing some breathing room to at least think about reuse. Why didn&apos;t Goes make the survey? "More than likely it was just overlooked," said one preservationist with ties to the survey&apos;s creation. "There was a lot of that." There was. 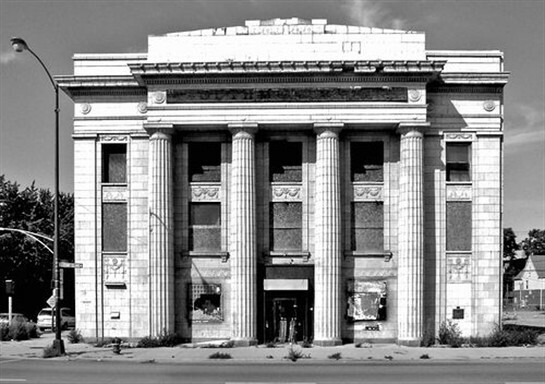 Places like the landmark-worthy former Guaranty Bank (seen below), a 1923 neo-classical beauty at 68th and Stony Island, are absent from the survey. Thankfully, artist Theaster Gates found the bank before the bulldozers did. Landmarks Illinois has found still more, including the Castle Car Wash, 3801 W. Ogden, one of the last remnants of Route 66 within city limits. The survey is indeed a tool, but one that needs to be made a lot sharper. "The city should be pushed to do it," Fine said. "The city should welcome it."